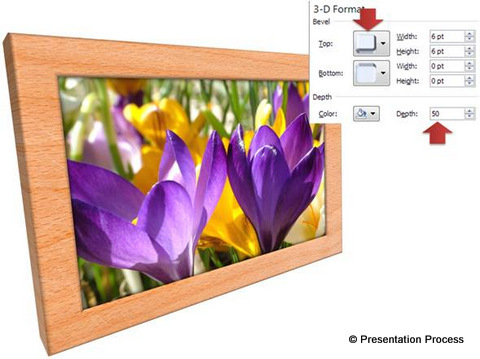 Learn to create a frame with animated photos in PowerPoint. Follow our simple step by step instructions to create this useful graphic to showcase your business graphics. Let us see how to create the animated graphic from scratch. 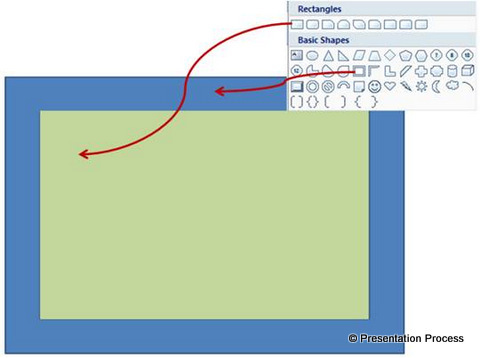 Go to auto shapes menu and pick ‘Frame’ tool to create the base frame for our graphic. 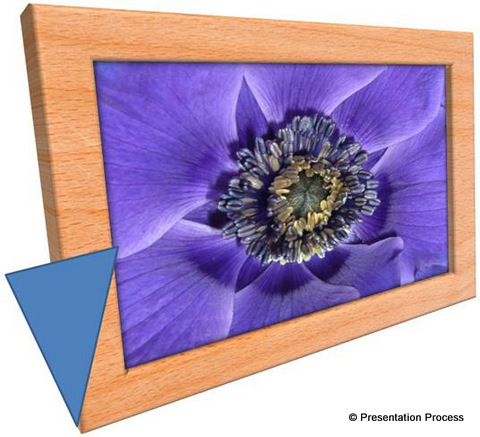 Place a rectangle shape touching the inner edges of the frame as shown below. You can apply ‘Inner shadow’ to the photo for a more realistic look and feel. 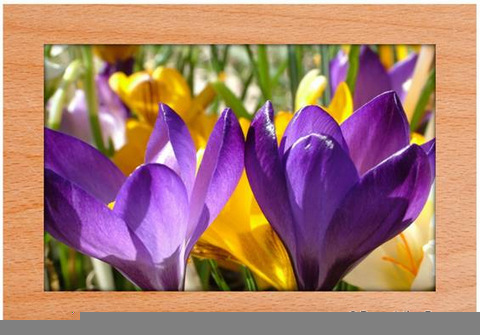 Make a copy of the photo in the middle and go to Shape fill -> Picture to replace the photo with another picture from your folder. Keep repeating the process to showcase as many photos as you need. Since all the photos are getting replaced using ‘Shape fill picture’ option, the size of the photos inside the frame will remain the same, no matter the size of the picture in your folder. 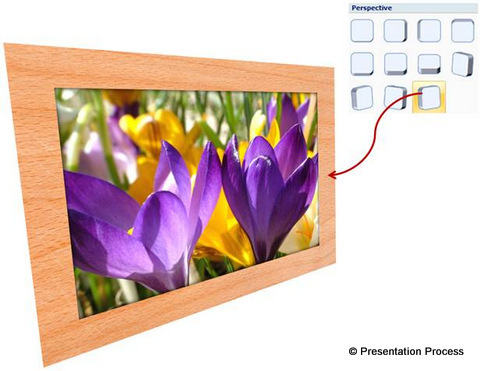 Align all the photos using ‘Arrange’ tab in PowerPoint ribbon -> Align -> Align Middle and Align Center. Fill the shape with grey color and remove outline. You can also add soft edge to the shape. Send the shape back. You are now almost ready to complete the animated photo frame. Click on each of the photos and add Exit animation called ‘Fade’. Leave the last photo without any animation. 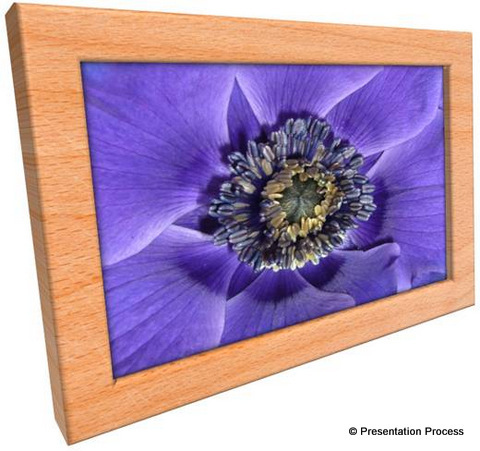 The final animated photo frame will be as shown above at the start of this article. Here is an example showing an important image being highlighted. 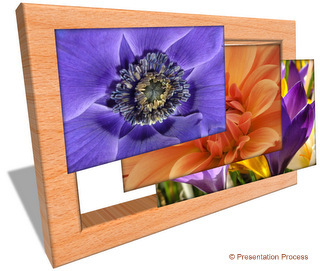 All the above examples are taken from our ‘750+ Advance Animated Templates for PowerPoint’. Click on image below to know more.